The Nor265 Microphone boom & Turntable may be used as a stand-alone device to obtain the spatial average of sound level by moving a measurement microphone back and forth continuously. 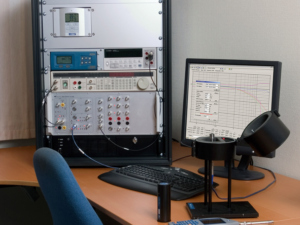 Main applications are building acoustic measurements measurement of sound absorption in a reverberation room and determination of sound power levels of sources using sound pressure. 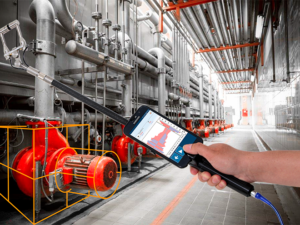 Due to the oscillating back and forth movement a normal microphone cable may be fed through the hollow main shaft without the need for slip rings thereby ensuring very low electrical noise levels are maintained. 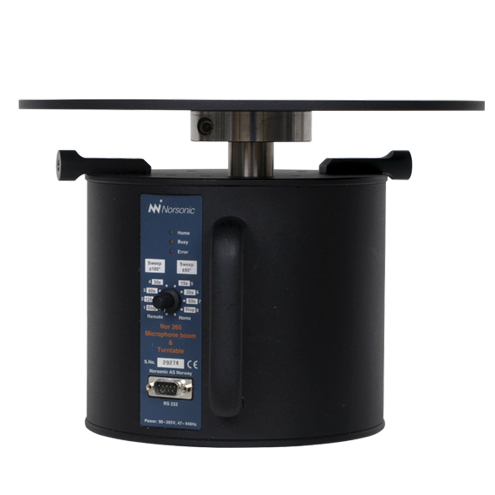 The unit may be equipped with a turntable plate or chuck for mounting of different test objects. 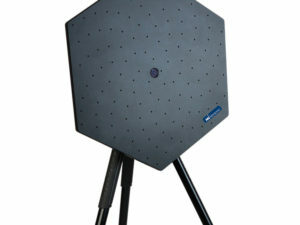 In this configuration the main application is measurement of directional responses of acoustic transducers like microphones and loudspeakers. The unit is manually operated by the rotary switch on the front. As delivered from the factory eight of the switch positions (1, 2… 8) corresponds to ±90° and ±180° sweeps with different sweep speeds. 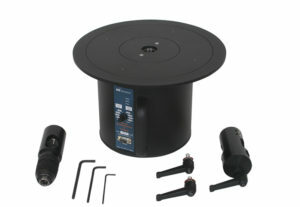 The basic unit must be supplied either with option 1 (boom accessories) and/or option 2 Turntable accessories. 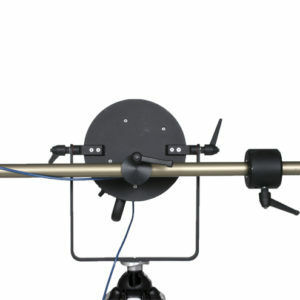 Option 1: Microphone boom accessories for use with Nor265 main motor unit. 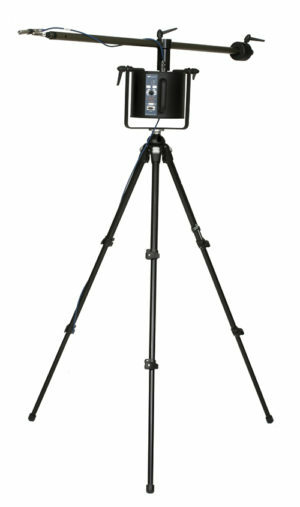 Includes adjustable rod (0.8 – 2.0 m), counterweight, 1/2″ preamplifier adapter, tripod, and tripod adapter. 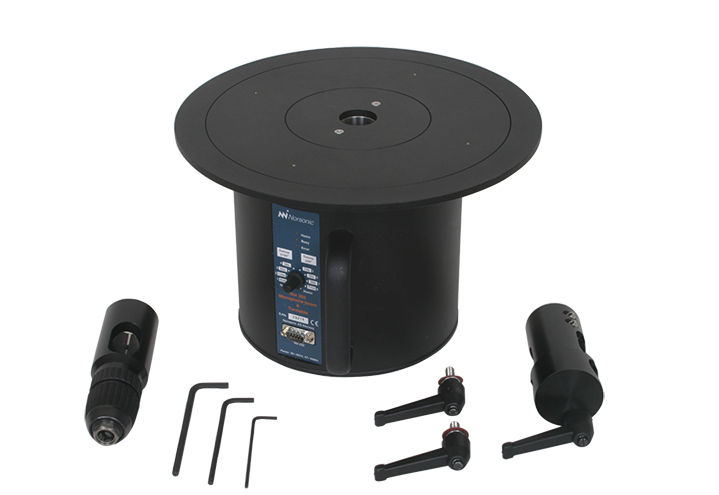 Option 2: Turntable accessories for use with Nor265 main motor unit. Includes table plate (diameter 300 mm), chuck (2-13 mm), and table-plate mounting adapter. 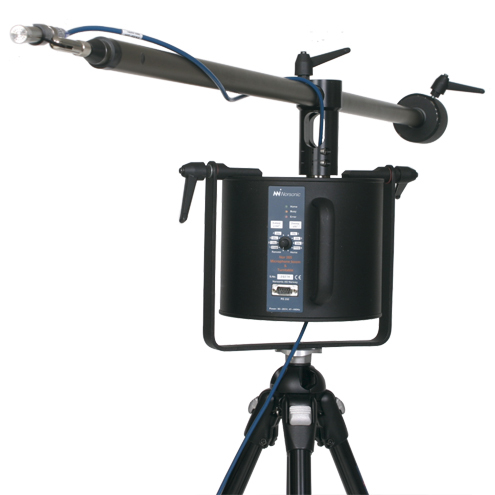 Option 3: Remote control enables the possibility to control the movement of the boom/table via RS 232 and computer. Includes cable and software.